Vastu for industry is a complex subject because each industry is unique requiring differing processes, raw materials and energy. When each direction is planned to suit it’s element it leads to planetary positivity generating prosperity and success of the industry. 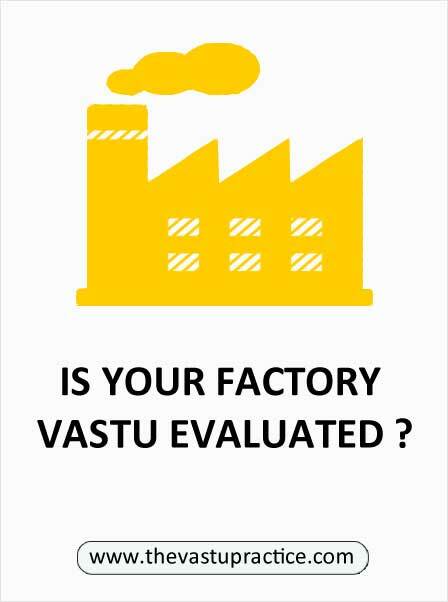 Industrial Vastu is a complex subject because of the constraints related to processes involved in the industrial layout. Different works, duties and processes are controlled by different planets and zones which very often may not match within the layout of the industry or factory. Each industry has a unique pattern of processes and machinery and uses different types of energy for instance chemical, thermal, mechanical. Each process, material and type of energy is controlled by different planets and different aspirations of zones and directions. A comprehensive understanding of all these factors leads to a practical Vastu solution. When each direction is planned to suit its element, it leads to planetary positivity which automatically generates cosmic energy leading to prosperity and progress. The main entrance of the factory should be in the North, East or North-East to ensure maximum profits. It is best to have an East entry for the workers and North entry for owners and executives. The factory should be constructed in the South-West zone of the plot leaving the North and East sides of the plot open and empty. The North-East zone should be kept clean and free of clutter. It is best to have a lawn or landscaping done in this zone. An area can be kept apart in this zone for daily puja. An underground water tank can be dug in the North-East of the plot. If a basement is needed it should be constructed in the North, North-East or East part of the building. Care should be taken not to store any heavy equipment here. The South, West and South-West zones of the plot should never be kept empty or vacant. The store for heavy goods and machinery can be in this zone. Overhead water tanks can be placed in the South-West zone of the main building. The finished products can be stored in the North-West zone of the building to ensure quick disposal. The toilet block can also be located in the North-West zone of the building. The car park and canteen staff quarters can be in the North-West zone. Transformers, generators, furnaces and other equipment involving heat energy should be placed in the South-East zone. The kitchen or pantry for the workers can also be in this zone. The owner of the factory should have his office in the South-West of the building. He should sit in the South-West of his room facing North or North-East. Care should be taken that there is no beam over his table. TheSouth-West plinth can be raised by 6 inches so that the slope of the floor is toward the North-East. An 18 inch thick wall is suggested for the South-West wall. The administrative block can be in the North or the East with executives sitting facing North. Special care should be taken to keep the North-East clear and empty. Staff quarters if needed may be constructed in the South-East or North-West.